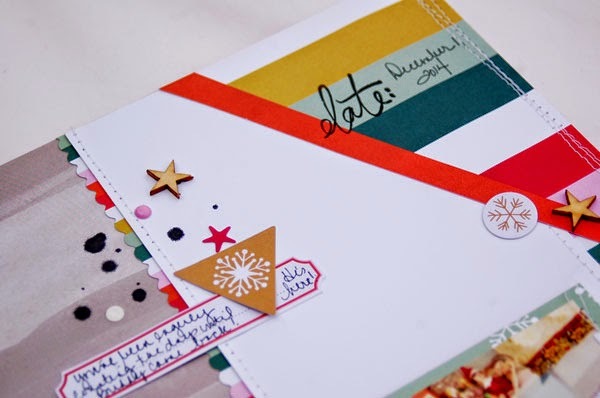 Hello and Welcome to January's Gossamer Blue blog hop. 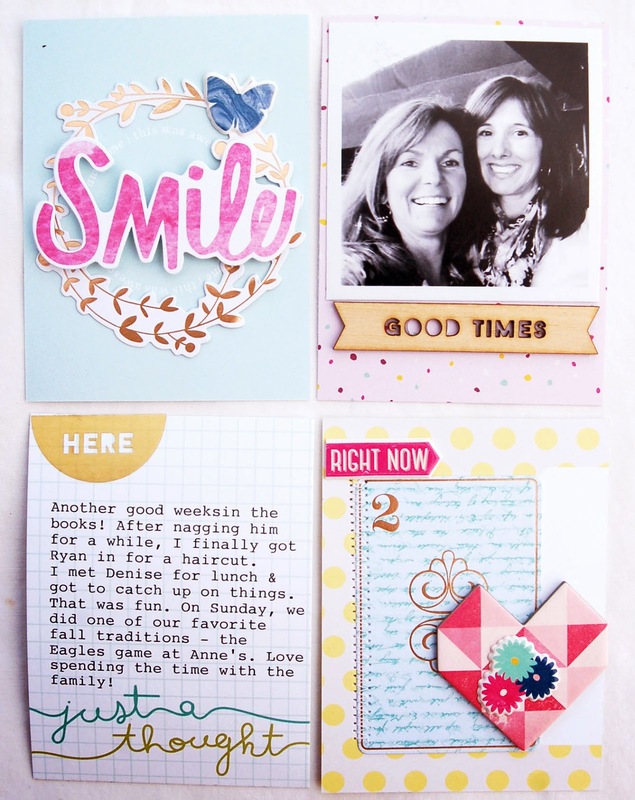 I'm here with two brand new cards that I created with goodies from the kits. 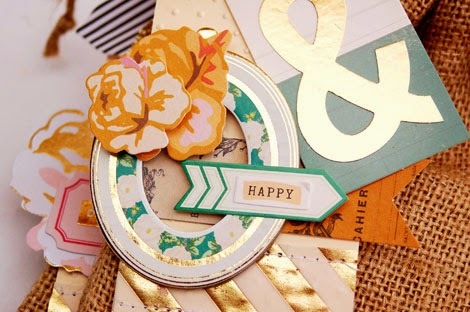 As you know, I adore Crate Paper's products. 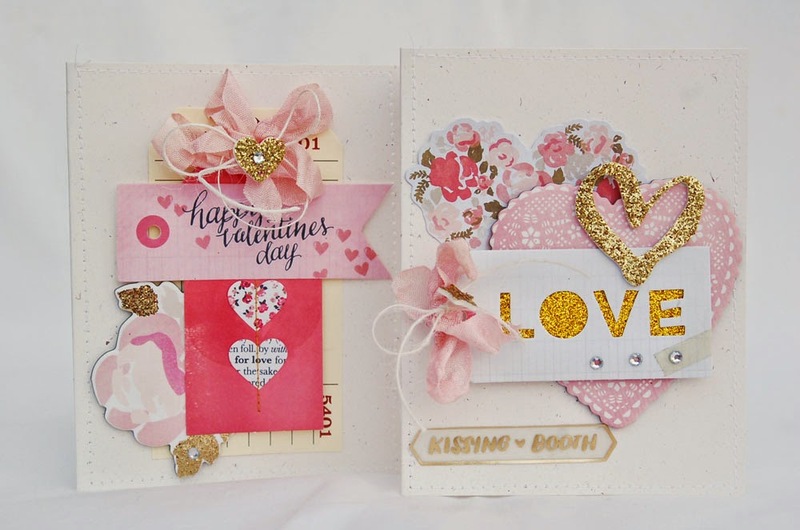 I was so excited to use the Kiss Kiss line goodies that came with this month's kits. Now that Valentine's Day is soon upon us, I decided that I needed to start creating some cards. I love how these two turned out. 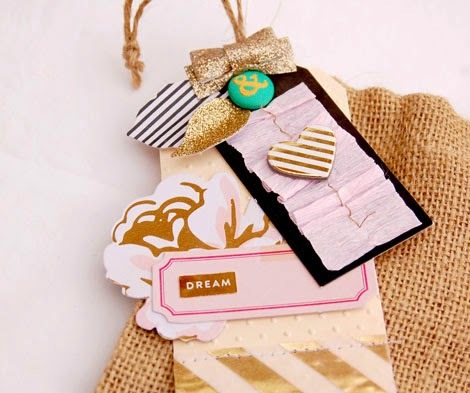 I started off with cream colored cardstock and began layering. 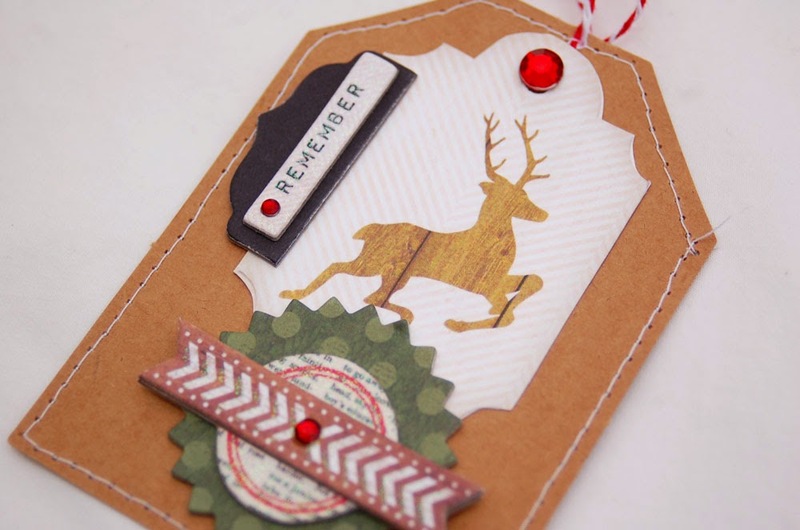 On this card, I used some chipboard and layered it onto a die cut. 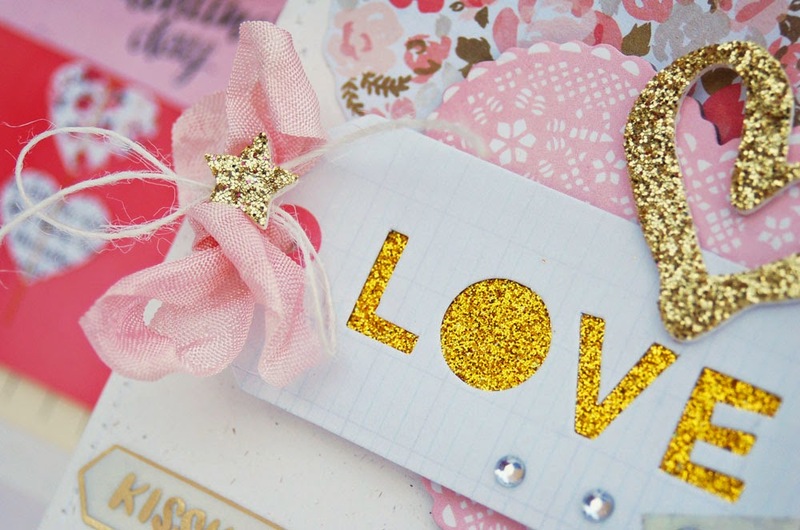 I love the gold 'love tag,' so I added that to the top. I placed that gold heart Thicker on top to finish it off. 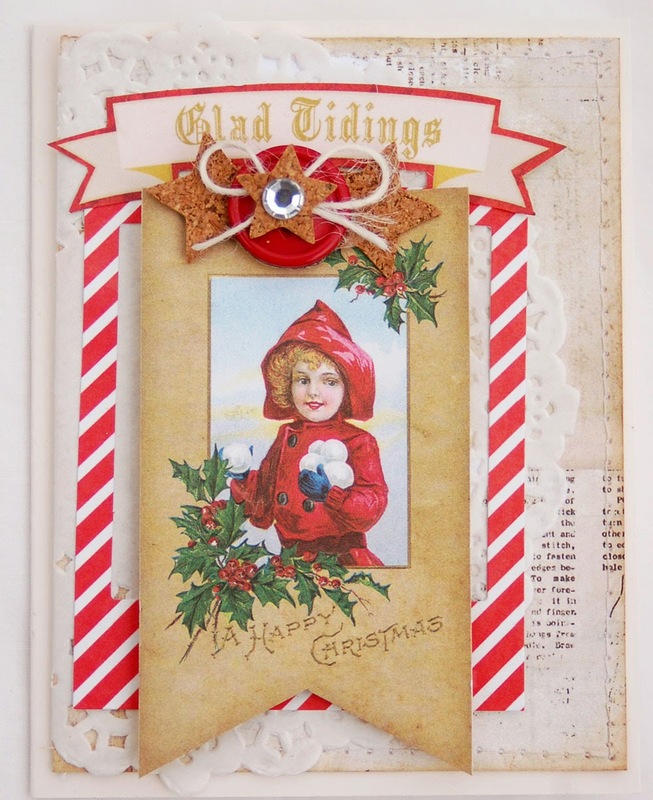 This card began with one of the American Crafts tags. 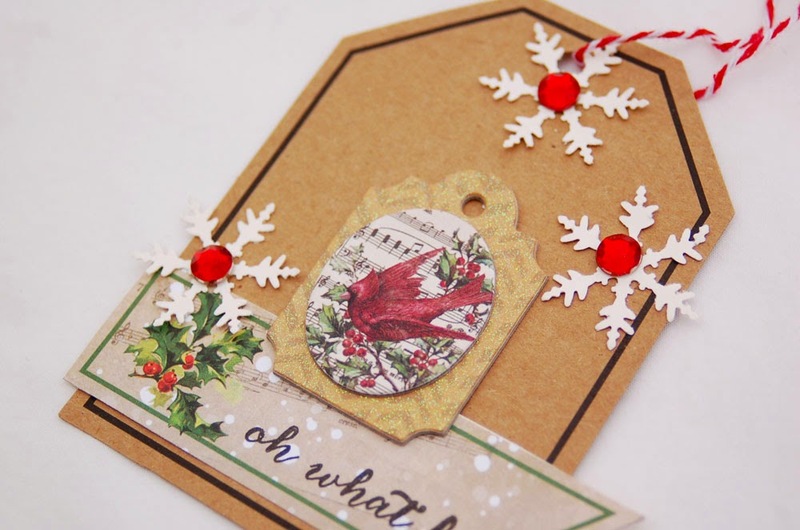 I added a chipboard flower, another tag and die cut. The crinkled seam binding and twine came from my stash. I love using it on these romantic cards. Thanks for stopping by today. Be sure to visit the rest of the team to see all of the great inspiration they have for you! Brr...it's been cold out. I absolutely hate the winter and right now is my least favorite time of the year. I am definitely counting the days down until Memorial Day and SUMMER! I wanted to use the sweet leaves and flowers from the die cut sets. 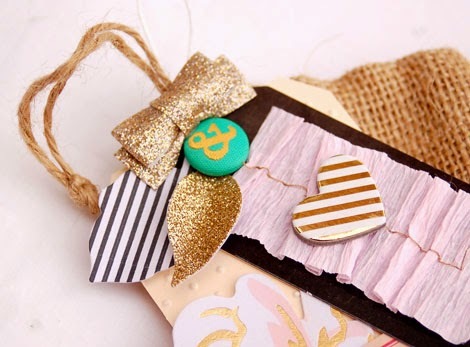 Each tag has a smaller tag, the leaves, a brad and gold bow. 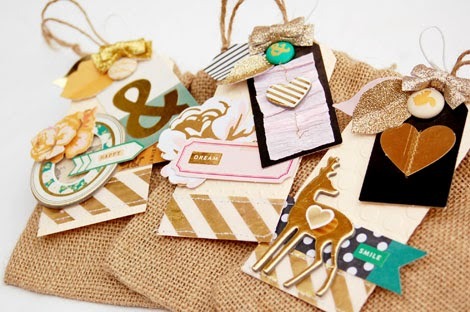 These are the perfect little treat bags. 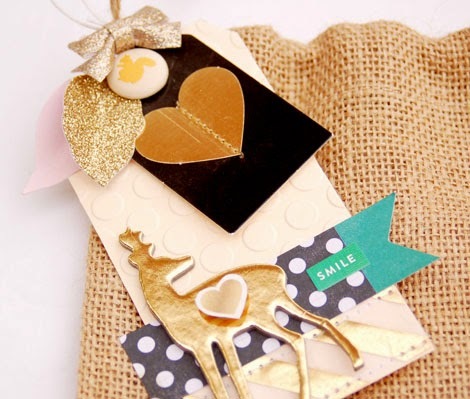 They will easily hold a gift card, a small bit of candy or maybe even a piece of jewelry. Thanks for stopping by and thanks for letting me share one of my favorite recent creations with you! 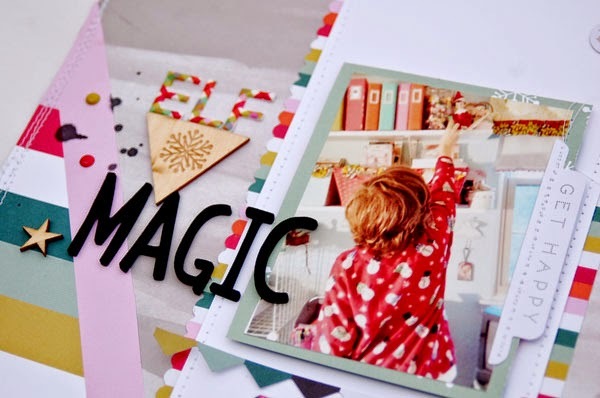 It may be January, but I'm still knee deep in December pictures and memories! 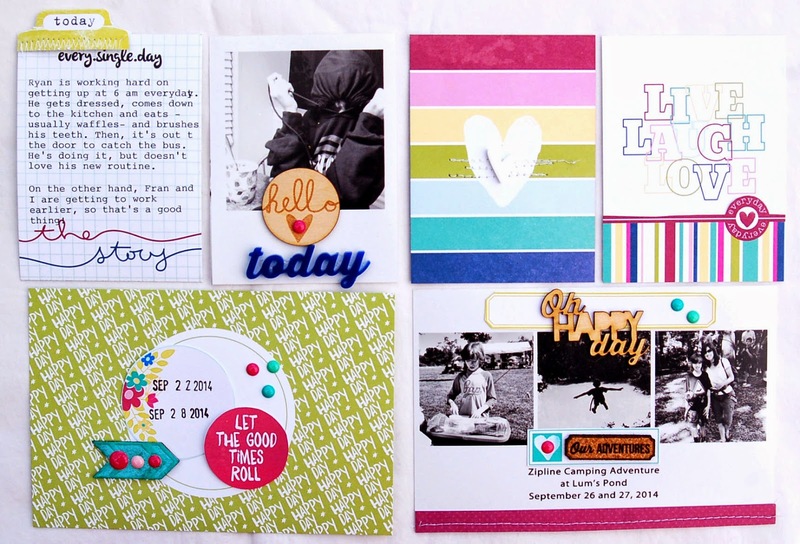 I have a fun layout to share with you today. In December, we have Buddy the Elf who comes and visits each day. He leaves Ryan a note and sometimes a little treat. Ryan just loves Buddy. Getting him out of bed is a lot easier when he's around. 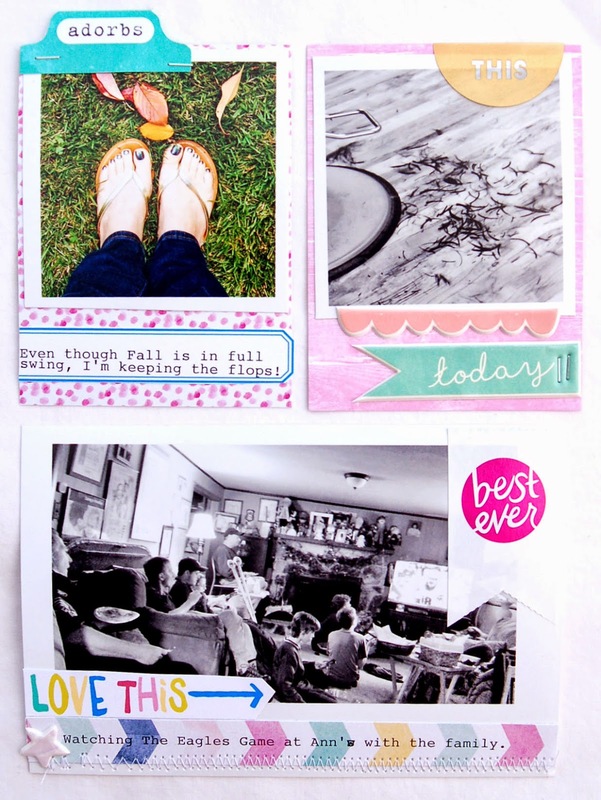 (Lord help me now that it's January...) Anyway, I knew I wanted to do a page about Buddy and the Get Happy line from Gossamer Blue was the perfect collection to use! 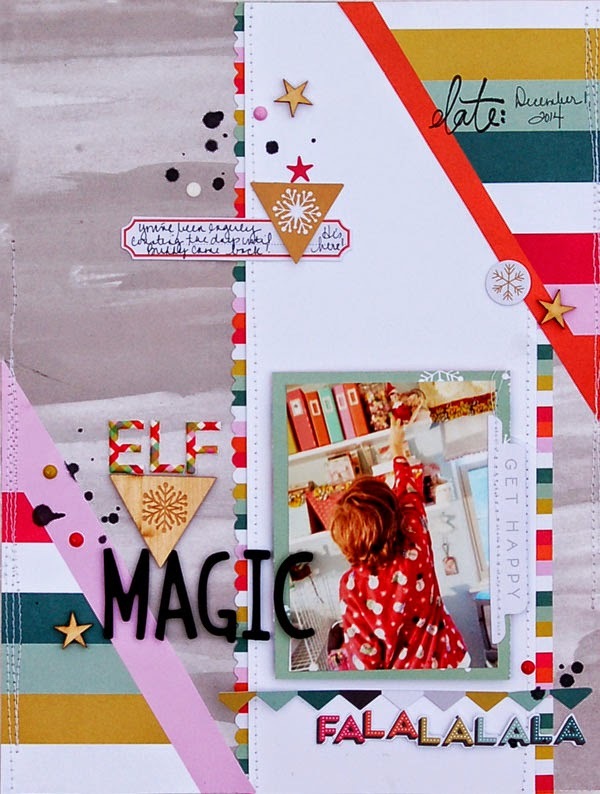 I loved adding little bits and pieces to this page to break up the bold lines. 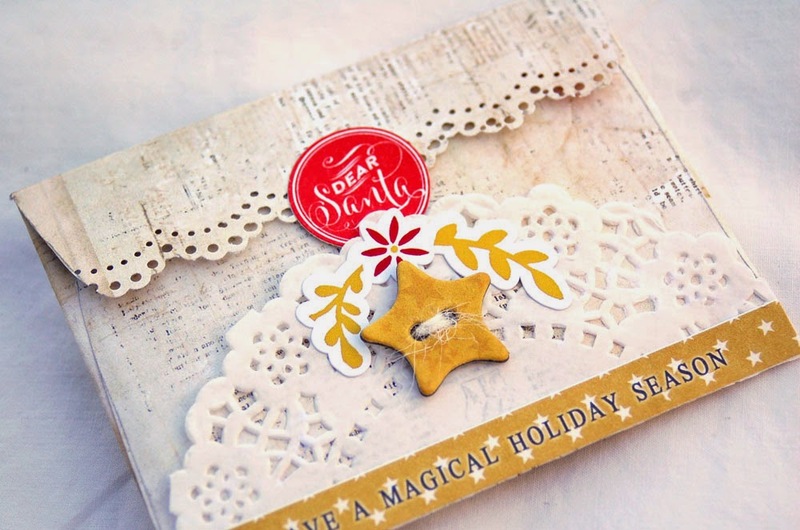 I used some of the epoxy stars, die cuts, wood stars and paint splatters. The colors in this collection are so fun. Even though we are past Christmas, I can see myself using this line again and again. Congrats to CONNIE G, who posted on January 1 at 5:16 pm. Please email me and send me your address so I can get your goodies out to you. Thank you to everyone who stopped by and for all of your kind words! Hello and Happy New Year! Thanks for stopping by. 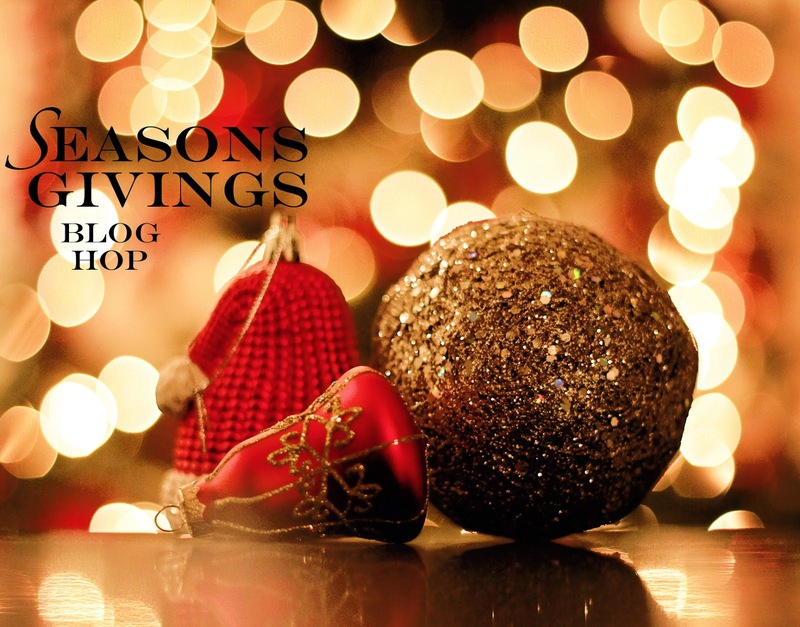 I am so excited to be a part of the Season's Givings Blog Hop again this year. The purpose of the blog hop is to thank readers for taking the time to stop by and visit. I truly appreciate all who visit my little corner of the blogosphere. Be sure to visit and comment on as many blogs as you can so you can be entered to win a prize! 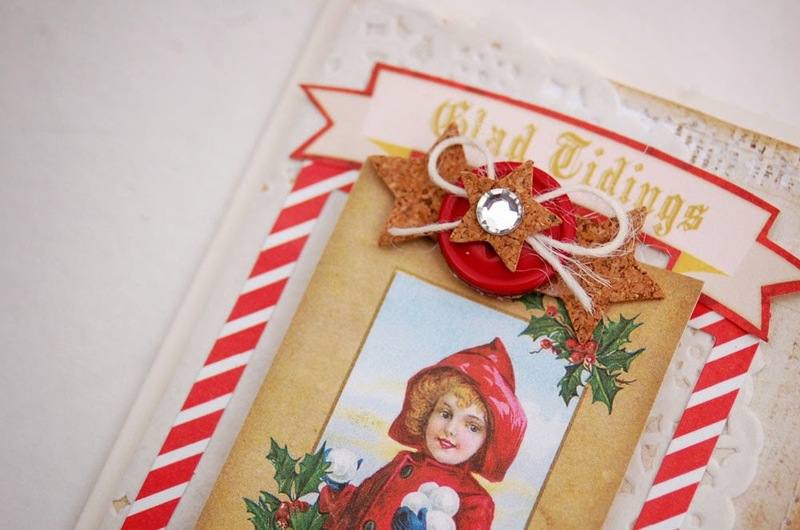 Today, I'm sharing a few of my Christmas projects that I created this year. I love giving them out to friends and family members. 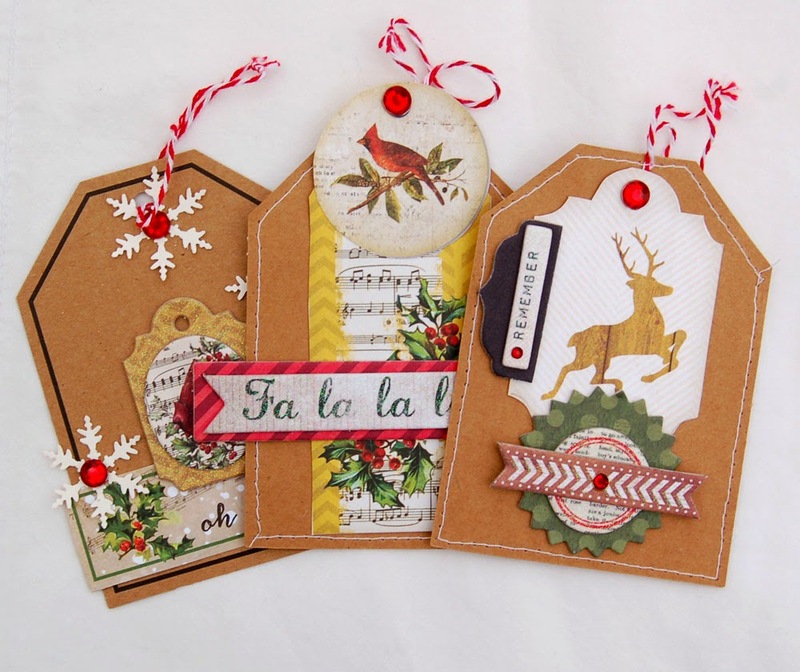 My first project is a tag set. I used lots of the Bo Bunny Christmas line on these. Next is this card. 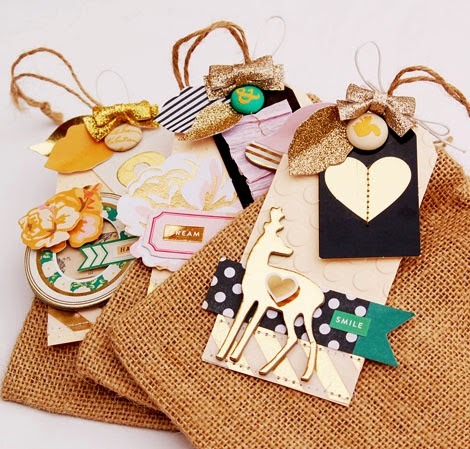 There's more Bo Bunny, some Pebbles and some Studio Calico cork stars. 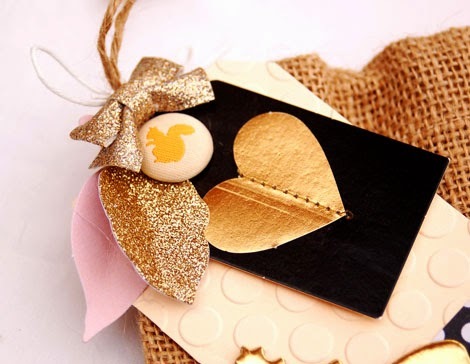 Finally, here is a gift card envelope that I made with, you guessed it, Bo Bunny! (I loved their line this year, can you tell?) I added some Glitz and some Webster's Pages, as well. 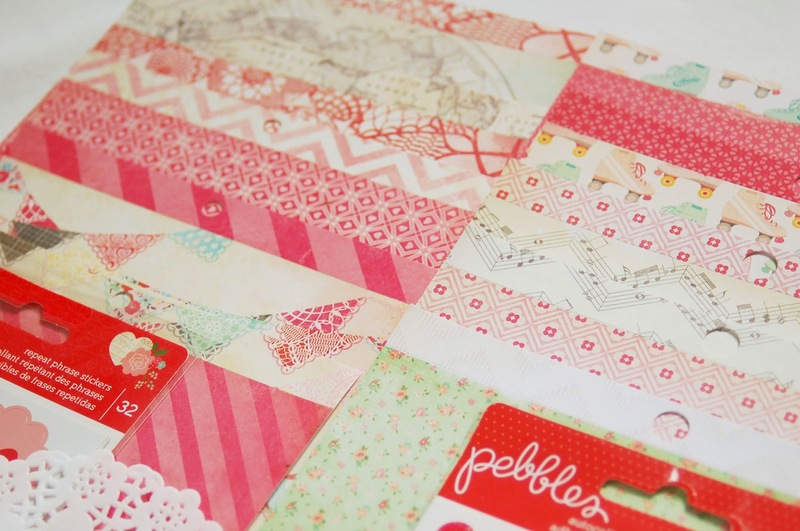 To make the envelope, I found one that I had, undid it and used it as a pattern to trace. So easy! I punched the back flap, added more stickers and I was done. I love how it turned out. 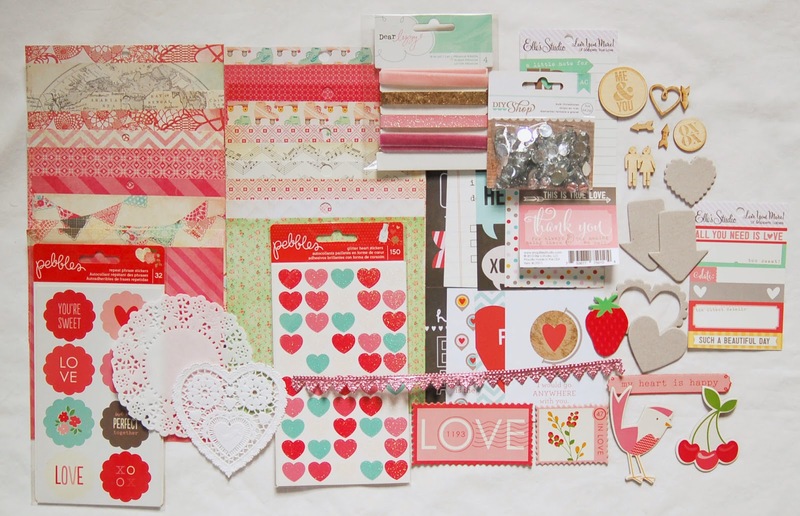 Speaking of love, I decided to create a Valentine's kit as my giveaway today. Leave me a comment by midnight EST on January 5 and I will pick a winner. And here are some close up shots. The kit includes 6 by 6 Crate Papers. 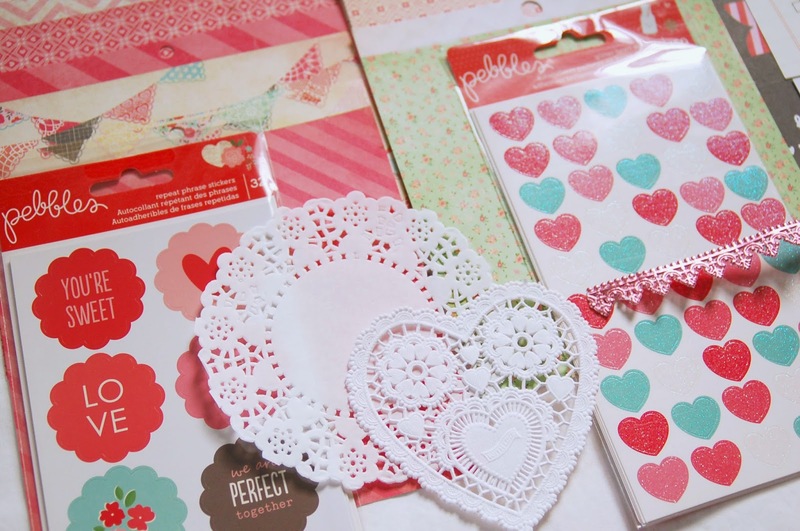 Doilies and stickers from Pebbles.. 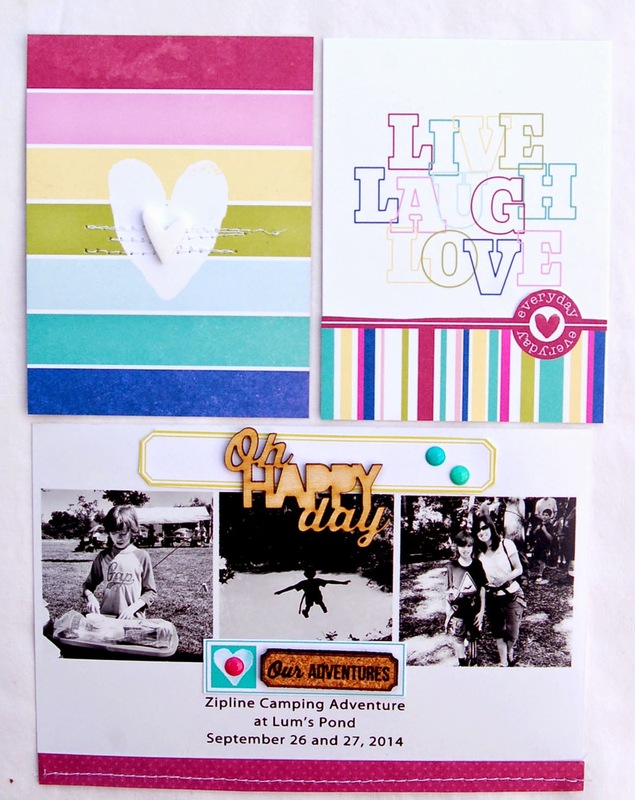 Simple Stories Life's Pages cards, Pebbles and Maya Road chipboard, and Elle's Studio tags. Here are the rest of the stops, as well. 24. Kim Watson 69. Heather Campbell 114. 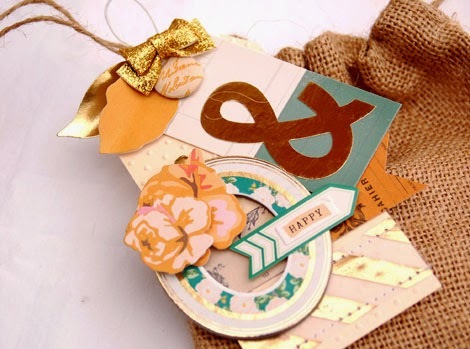 Niki G.
Remember, leave me a comment by midnight EST on January 5 for a chance to win this giveaway. Thanks for stopping by! Happy New Year! Hope the holidays were wonderful for you. They certainly were for me. We spent a couple of weeks surrounded by friends and family. I am truly blessed. 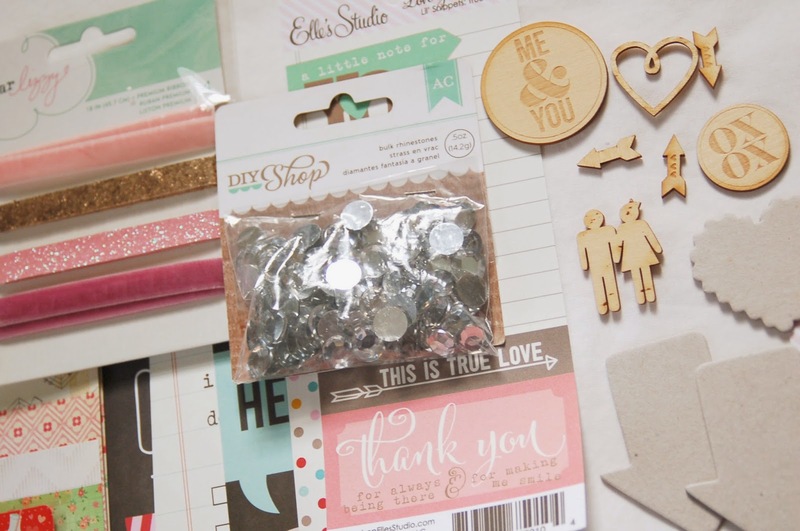 Gossamer Blue's January Kits are now live. You can see them here. 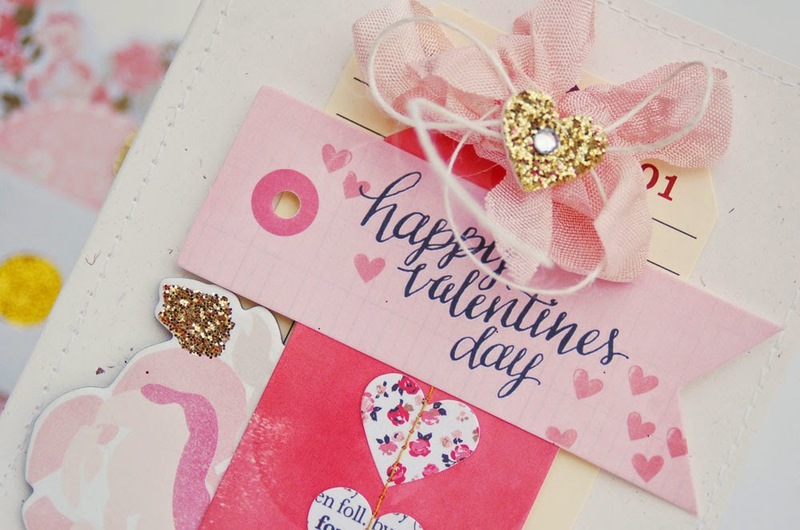 They are wonderful for both Valentine's Day, as well as for every day themes. 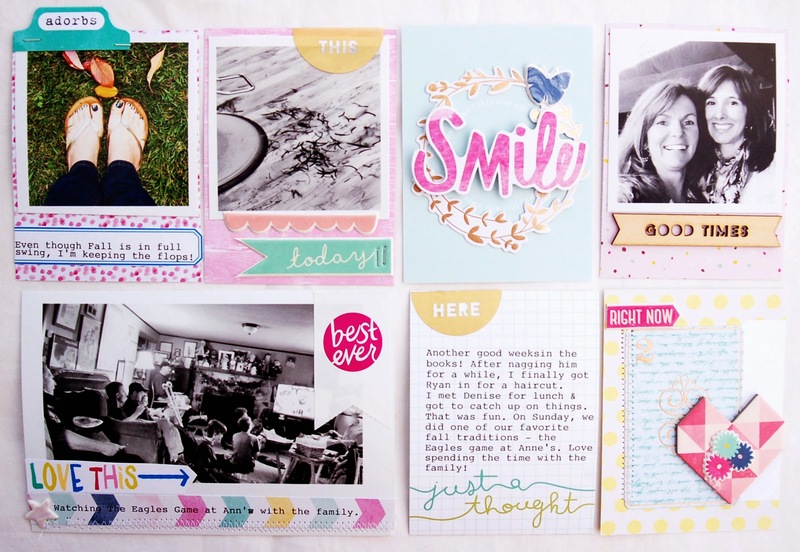 Here are the spreads I created with the kits. 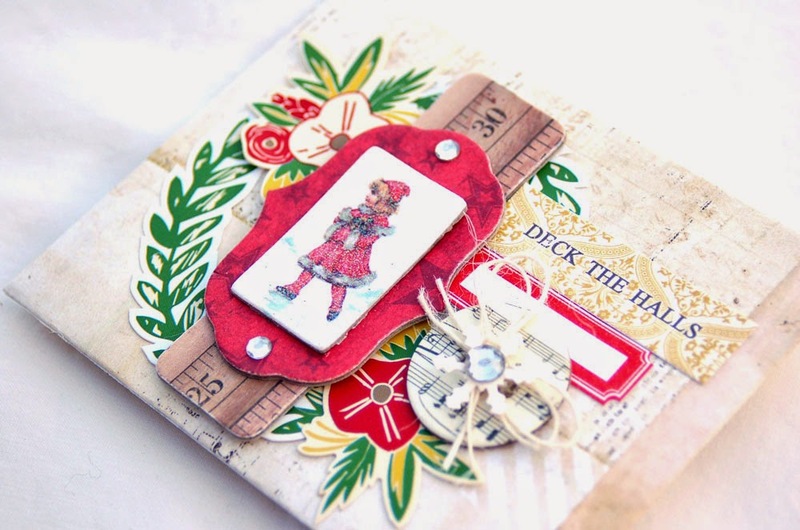 This first one uses just the Life's Pages Main kit. The colors are really fun! 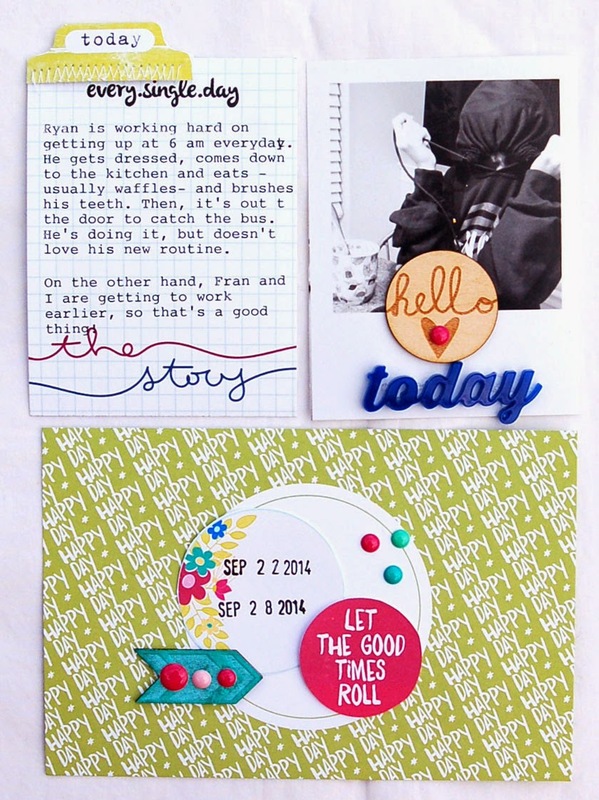 I added some of the printables on this page. I love adding stitching to them. One of my new favorite tools is my old electric typewriter. It's been sitting in my mom's basement for a LONG time. 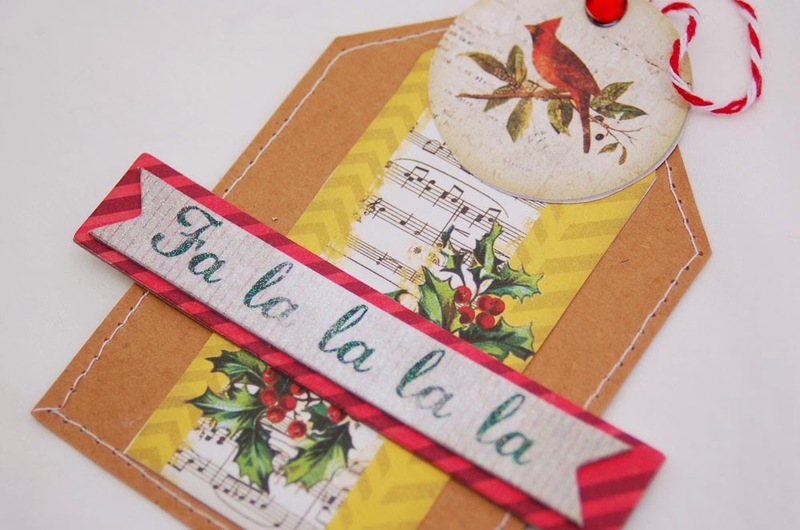 Well, I got it out, bought a new ribbon and have started using it on my pages. I love the way it looks. 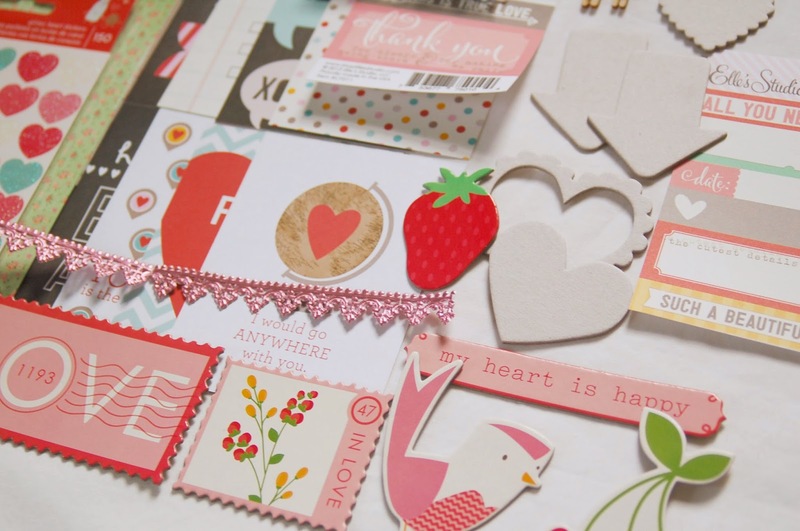 This next spread uses a mix of several of the kits. I used some of the cards from LP Add on 3. 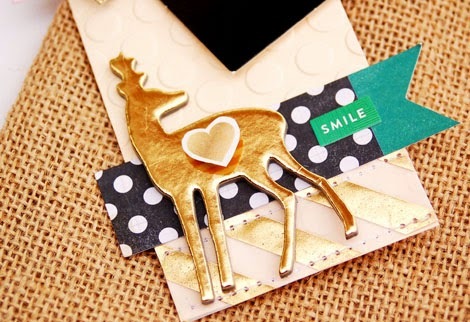 I also used a lot of the Dear Lizzy goodies that came with the kits this year. 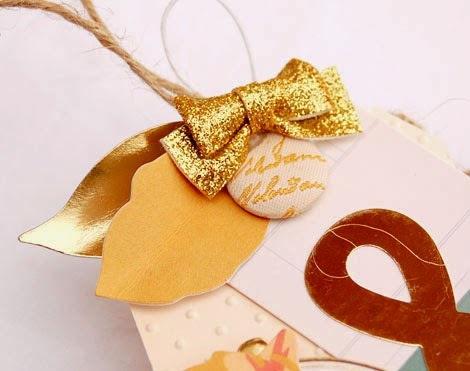 Be sure to head over to the Gossamer Blue Gallery and see what everyone created! Thanks for stopping by.